Dr. Kuwayama has been a general academic and Technical Supervisor of the World’s Largest IVF Center doing 27,000 cycles per year with 65 embryologists & 13 scientists studying vitrification, nuclear transfer, GV transfer, rejuvenescence of defective oocytes from old women, oogenesis and androgenesis, ES and ips cells studies, etc. He supervises 58 IVF centers in 12 countries. Dr. Kuwayama developed an efficient vitrification method (Cryotop/Cryotec method) for human oocytes in 1999 and embryos in 2000. He established the first human oocytes bank in Japan and obtained the first baby in 2002 in Japan and in 2003 in USA after oocyte vitrifiction. His vitrification methods have been applied for more than 2,000,000 human clinical cases in >2,000 IVF centers in >65 countries for 16 years. Dr. Kuwayama is presently CEO of REPROLIFE, Tokyo, Japan. He is also Director of a private ART research center, Repro-Support Medical Research Center in Japan. He received his PhD in Biology in 1997 from Hokkaido University, Japan. He started his career in 1988 as bovine IVF Project Leader at Animal Biotechnology Center, Japan and remained in this position until 1999. During this time he visited Adelaide University, Australia (1995); Royal Copenhagen University, Denmark (1996) and University of Buenos Aires, Argentina as visiting scientist, invited scientist and visiting professor, respectively. He remained visiting professor of University of Buenos Aires, Argentina from 1997-98. In 2004, he became Lecturer at Azabu University, Meiji University and International University of Medicine and Welfare. In 2005, he became board member of Japanese Society of Clinical Embryologists and Editor of the Journal of Reproductive BioMedicine Online. In 2008 he was selected as Scientific Consultant, Irvine Scientific, California, USA. In 2010 he was Scientific Director, Kato Ladies Clinic, Japan; Scientific Consultant, Advanced Institute of Fertility, Egg Bank USA; Assist. Director, Future Mother Co. Ltd. Tokyo, Japan and Director, Advanced Medical Research Institute of Fertility, KLC. Dr. Kuwayama has published 110 original research papers in J. Reproduction and Fertility, Cryobiology, CryoLetters, Biology of Reproduction, Theriogenology and many others. He has presented >372 scientific meeting papers on scientific meetings like International Embryo Transfer Society; International Congress on Animal Reproduction; American Society for Reproductive Medicine, Japan Society of Fertility & Sterility, and many others. 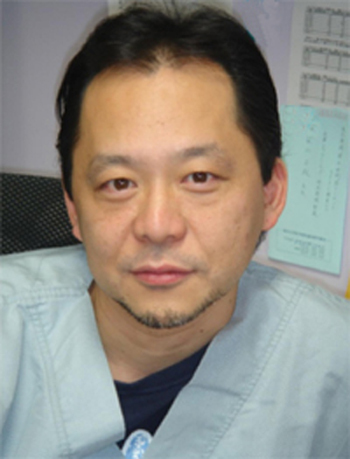 Dr. Kuwayama is member of International Association of Private Assisted Reproductive Technology Clinics and Laboratories, American Society of Reproductive Medicine, International Embryo Transfer Society, Japanese Society of Fertility and Sterility, Japanese Society of Cryobiology and Cryotechnology, Japanese Society of Animal Science, Japanese Society of Reproductive Biology and Japanese Society of Mammalian Ova Research.